United Regional Solutions is proud and fortunate to have an experienced weight loss surgeon to guide our practice. He performs the latest techniques in laparoscopic procedures. As a native to this area, Dr. Finnell grew up in Holliday, Texas. Upon completion of school, he returned to Wichita Falls to begin practicing bariatric as well as general surgery. Dr. Finnell is an honors graduate of Midwestern State University as well as the University of Texas Medical School in Houston. He completed his general surgery residency at the University of Tennessee in Memphis. Following residency, Dr. Finnell did a fellowship in laparoscopic gastrointestinal and bariatric surgery at the renowned bariatric facility Hackensack University Medical Center in New Jersey. 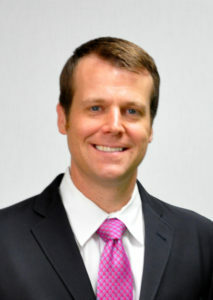 Dr. Finnell has studied under some of the leaders in bariatric weight loss surgery and performs the latest techniques in laparoscopic procedures. He is board certified by the American Board of Surgery and is an active member of the American Society for Metabolic and Bariatric Surgery (ASMBS). He has special interest in laparoscopic bariatric procedures, as well as hernia, colon, reflux and trauma surgeries. Other members of the health team include Emily Rusk, Program Coordinator, and Erika Gitchel, Nurse Practitioner and MediLoss Solutions medical weight loss guide.